Getting ready to create the next character for my ongoing Solo vampire game, and I realized that I need to do a little bit more book keeping. I can’t keep calling the city “City” or the Prince “Prince” and the like. Riffing a bit off of the background elements from the first story, I’m going to go with the following. Location: Fictive. Somewhere north of Boston alone the East Coast of the United States. Prince: Matthew Parker. A Ventrue (seriously, I rolled a 7 on the Clan Chart). He has ruled for the past 50 some odd years, and tends to have a very “hands off” approach to the affairs of his city. Indeed, his tendency to veer between extreme laxity and harsh crack downs is a major source of complaint for the Elders. Situation: For decades, New Canaan was racked by constant infighting and conflict, and Princes rose and fell with an alarming regularity. This ended when Parker took sides in the last great war. Upon victory, he ruthlessly purged almost half the vampires in the city, eliminating any and all who had the strength or will to oppose him. Since then, though, he has become an almost disconnected Prince. He allows others to embrace freely, and welcomes almost any outsider who comes to the door. As such, the city is full of rebels, dreamers, artists, anarchs, refugees, exiles, visionaries, and prophets. All mix uncomfortably in the decaying city, and the Elders (as the “native” Kindred call themselves, regardless of age) struggle just to maintain some semblance of peace. When the Prince does intervene, his wrath is legendary. But, more often, he chooses not to. And for every new vampire who is permitted into the city, another is lost forever thanks to the constant violence. With that out of the way, it’s time to focus on our new PC. I know a few things going into this. First, per request, the character will be of the Nosferatu Clan. They are a particularly loathsome breed of vampires, whose appearance is uniformly revolting and horrifying. Secondly, I want the character to be somewhat different from Hanson. If Hanson is the classic pulp “tough as nails” P.I., I want this character to play and act as something else. Not sure what, yet, just not Hanson. So, let's head back to the "Random Vampire" rules and see what comes up. Cultural Background: 1 Natural Born American. 2 White/Caucasian. Terrance “Terry” Klein was a man who slept-walk through his life. Or, if not sleep walking, then barely living it. He did well in school, though had no passion for any particular subject. He was always vaguely “popular” without having any close friends. He went to college, because it was expected of him. He went to law school, because, again, it was expected. He was smart and likable and from a well-off family, and he followed the plan that had been provided for him all the way to a successful if unremarkable job in corporate law. It’s not that he didn’t work hard. He did. He was focused and conscientious in almost every task he took, and he did all that was expected of him. But only what was expected of him. That all changed the night he died. The creature, Silas, had apparently been watching him for some time. Terry had drawn his attention due to some deal or arrangement or the like that he had pushed through, which had apparently “ruined” a plan Silas’ had. Terry accepted his death with same dutiful acceptance he had given to every aspect of his life, and the lack of terror he expressed seemed to enrage Silas even more. So, Silas decided that mere death wasn’t enough, that Terry would have to learn the true cost of his actions and how they ruined lives. Instead of killing Terry, Silas made him into a creature like himself. The next week was one of pain and hunger and horror well beyond the limits of Terry’s comprehension. He surely would have died, had Silas not come back for him. Perhaps the creature felt something like pity, or perhaps it was simple morbid curiosity. Not that it mattered, he took Terry in and explained how things worked. Once they began talking over the long nights, they formed an unlikely relationship. One that might even be mistaken for friendship. Despite Silas’ efforts to bring him underground, “where he belongs,” Terry still clings to the remnants of his old life. He still believes a “cure” of some sort is possible, and hasn’t quit his job, merely taken an “extended leave of absence to deal with health issues.” It was only from losing his life, that he realized how much it meant to him, and how much he had missed. He no longer wished to blandly follow the path others have laid out for him, but he has no idea, yet, of what he wishes to do next. His mentor is Silas, also the source of his Generation. His herd is the other inhabitants of his apartment building. Terry can’t bring himself to attack another person, and so feeds from his sleeping neighbors. He uses a copy of the superintendent’s key he was able to pick up. His resources represent what’s left of his savings. Now, this character is an interesting mix. In many ways, he's more suited to a "Social" focused character, like a Toreador or a Ventrue, rather than a skulking Nosferatu. I thought about reassigning some of his points, to give him at least some degree of combat ability. But, I think I like old Terry here. He's an "average" person (as much as a well-paid corporate lawyer can be considered "average"), going through an extraordinary experience. I feel like a good "arc" for him is the tension between trying to maintain something like a normal life (or at least, normal for a vampire), and embracing his existence as a Nosferatu. One last thing, regarding mechanics. While the base game rules remain the 1st Edition of Vampire, I need to make a small adjustment. See, in 1st, the “levels” of Obfuscate are different than in subsequent editions. Turn others "invisible" with you. The problem is, level 2 requires an Appearance + Stealth roll, which, since Nosferatu have an Appearance of 0, makes it ridiculously difficult for them to succeed at that. Instead I will be using the 2nd Ed Mechanics for this, which changes it to Charisma + Stealth which is a tad more doable. 2nd also switched level 2 and level 4, but I’m keeping the hierarchy of 1st. 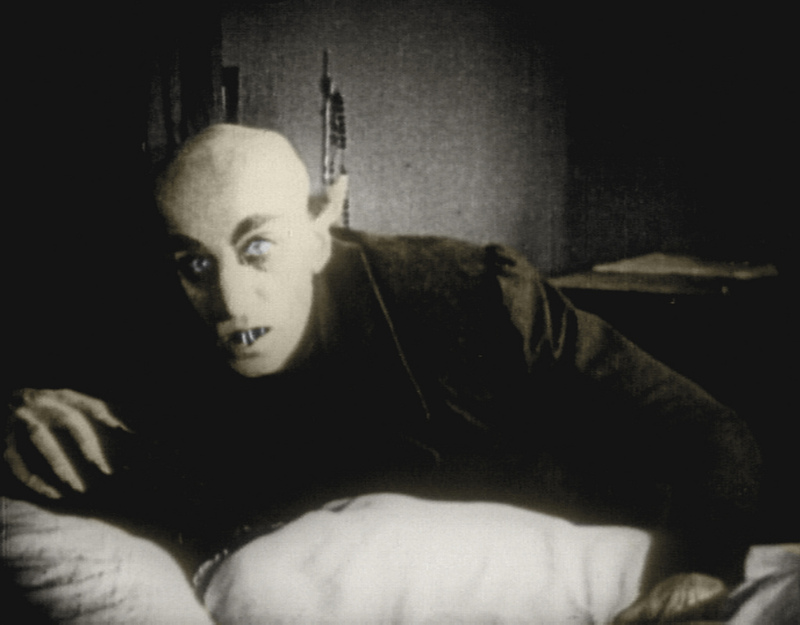 I like the idea that neonate Nosferatu can’t just walk around all invisible all the time. All right! Next time we'll do session "0" and figure out the parameters of Terry's story, and then we'll be ready to start!